Les and Roberta had the idea that responsible wildlife tourism could help save the world, but saving the world requires a Team. These folks, along with hundreds of others who guide, help, encourage, advise and contribute are the Destination: Wildlife Team. Roberta curates the site content and travel destinations. She does a significant portion of the research and writing, and is the liaison for our wildlife and destination experts. And Roberta makes sure there are lots of responsible experience opportunities included for the more … er… cautious among us. She is an active member of the Explorers Club. 1. I believe in the butterfly wing effect: make a tiny wave in one place – and save the planet. 2. I love experiencing nature – however I also love indoor plumbing. 3. Before I met my husband, my idea of “outdoor gear” was a pair of sneakers. 4. What I learned living abroad for nine years: Understanding is not mandatory - respect is. 5. Favorite things: Books, art, nature, the sunrise, & my husband - don't ask me in what order. 6. I am (mostly) vegan – because my husband is. Les is in charge of all things technical, whether it is the correct equipment for a Himalayan trek or fixing a glitch in the website. He is also Calendar Tsar. When a deadline is met it is because Les is aware of the time (and day and week). He is constantly on the lookout for the next truly wild (responsible) wildlife adventure. 1. I have never seen a tool or piece of outdoor equipment that I didn't need. 2. I spent almost two decades in special operations with the U.S. Army. 3. Grandpa taught me that God lives in the tall timber, cold streams, & clear lakes. 4. It has been said that left to my own devices, I would be a hermit. 5. The amount of useless history & science trivia I know is frightening. 6. The #1 wildlife encounter on my bucket list is to swim with beluga whales in Hudson Bay. 7. I am a (mostly) vegan because my wife is. I have been photographing my world since I was 21 years old. I have enjoyed my career as a trader on Wall Street but now it's time for me to chase my passion for photography. I enjoy not only taking my camera on trips with my family, but also photographing wildlife in my area and anyplace reachable by car for a day or an extended trip. 1. I started my photography career at age 15 taking pictures of Rock and Roll bands touring in New York City. 2. I was a sales trader on the floor of the New York Stock Exchange for 35 years. 3. I have the best wife and children anyone could dream of having. 4. I used to have a one tracked mind, and that was for golf. 5. I still have a one tracked mind, but now it's tuned to photographing wildlife. 6. Being out in the wild with people as passionate as me is what I enjoy in my spare time. I’m crazy about the outdoors. Whether it’s hiking through a forest, kayaking rivers, and lakes or cruising the oceans, they are equally special to me. I was fortunate to have been brought up with love and appreciation for nature and wildlife from day one. I studied photography at the University of South Florida in Tampa, Florida and the School for Visual Arts in New York City. About six years ago I decided to go into photography full-time with most of my focus on all things of our natural wild world (okay, so far only the USA ). 1. I spent 15 years working at Moffitt Cancer Center. 2. I miss the patients and staff. They were like a second family to me. 3. My first photography subjects were the American Alligators. 4. 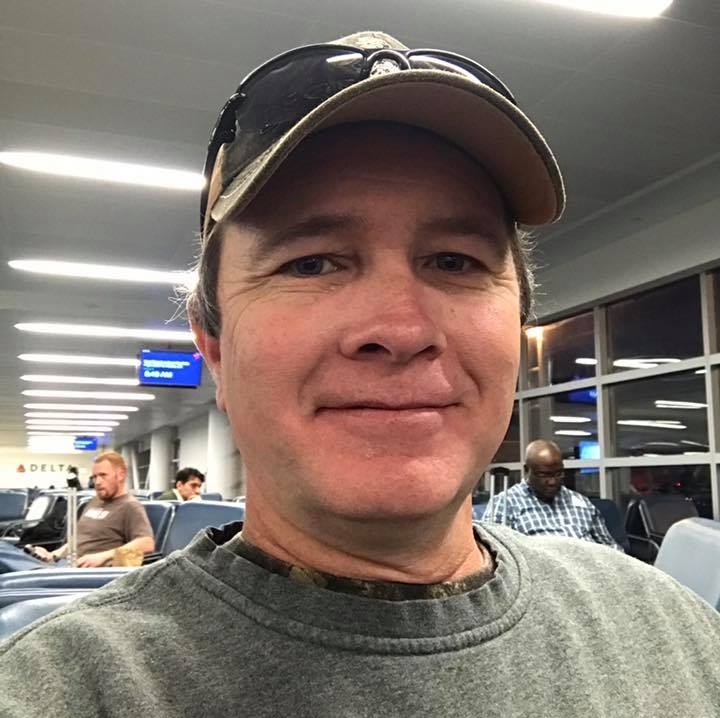 I’ve been told I look like George Straight, Garth Brooks, and former President Bush. 5. I have a beautiful wife, an amazing family on my mom’s side, step-dads side, dad’s side & my wife’s side. 1. I grew up in Belgium. But, longing for open spaces and more abundant wildlife, I moved to the USA, first to Texas and then Arizona. 2. Downsizing into a 100-square ft. travel trailer and letting go of all the stuff that we “needed” and worked so hard to afford is liberating (obviously, this statement does not include my multiple bags of photography gear). 3. I realized I wanted to be a wildlife photographer when I saw a vendor selling wildlife and landscape images at a fair in San Antonio, TX. 4. I love the freedom to wander, with little to no plan of where to go or what to see. 5. When I’m not out exploring, I love watching and reading all about football (or soccer as it’s called in the USA). 6. My favorite animal is elk. I don’t know why: maybe it’s their color scheme? My passion for wildlife, conservation, and nature was a constant theme throughout my career in magazine publishing (The New Yorker, Time Inc., and Smithsonian.) And I’ve been involved with “eco-tourism” since its infancy, serving on numerous boards for Sustainable and Environmental tourism. Today I concentrate on education, advocacy, and involvement in environmental issues. I am is active member of the Explorers Club, Linnaean Society, and NYC Audubon. 2. My life-long passion for animal rights extends to my kitchen, I don’t eat meat. 3. I began birding in Central Park decades ago! Can’t wait to see what the winds bring in on a Spring morning. Or the owls during a snowy winter day. Or the changes of seasons through the magnificent trees. 4. Being a “Birder” is about finding the connections throughout the natural world. What I love best is to follow those flying dots all over the globe. Erik is passionate about wildlife. In his quest to help us understand a species and its situation he packs his articles with details and facts, checking and double-checking for correctness. And he is committed to exposing tourism experiences proven to harm or diminish an animal’s life. Erik’s goal is to inspire us to appreciate nature. 1. My two greatest interests are animals and the environment. 2. 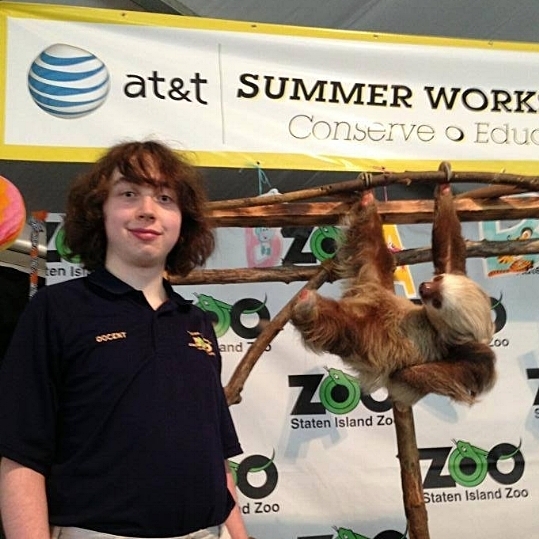 I have been a docent at the Statin Island Zoo since 2009. 3. I present & explain about birds, small mammals, lizards, turtles, tortoises, various non–lethal arthropods, and non–venomous snakes. 5. I am a strong advocate for the environment and animal rights. When events are in my area, I will be there. 6. I enjoy educating people about animal behaviors, their life cycle, and their environmental needs.